Are holograms possible in the color world? They would translate into prismatic arrays of colors. Rainbow shimmer! I only own a couple of holographic polishes from Pretty Jelly (Liquid Jelly Liz’s nail polish line) and I love them! The shimmer is prominent and gorgeous! I took inspiration from Luciana’s SIMPLES mixed sizes & colors dotticure. 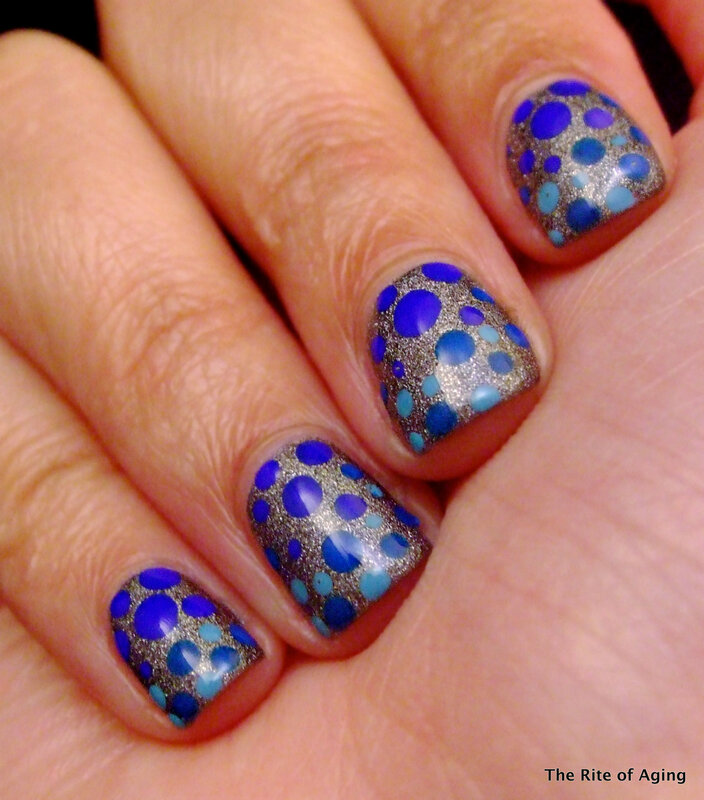 The dots are impeccable and the gradient is gorgeous! I was blown away! Click the picture to check out the Facebook post/group! I matte all the nails but lost the shimmer in the process. Which do you like better? I think I lean towards the matte finish. I can see the gradient dotticure a little better. I used 3 coats of Pretty Jelly Dream Cloud as my base. I detailed with Urban Outfitters Blue Velvet, Pop Beauty Pacific Hoot and Milani Peacock. I protected the design with Seche Vite and finished with Essie Matte About You. Don’t forget to check out the other futuristic manicures! 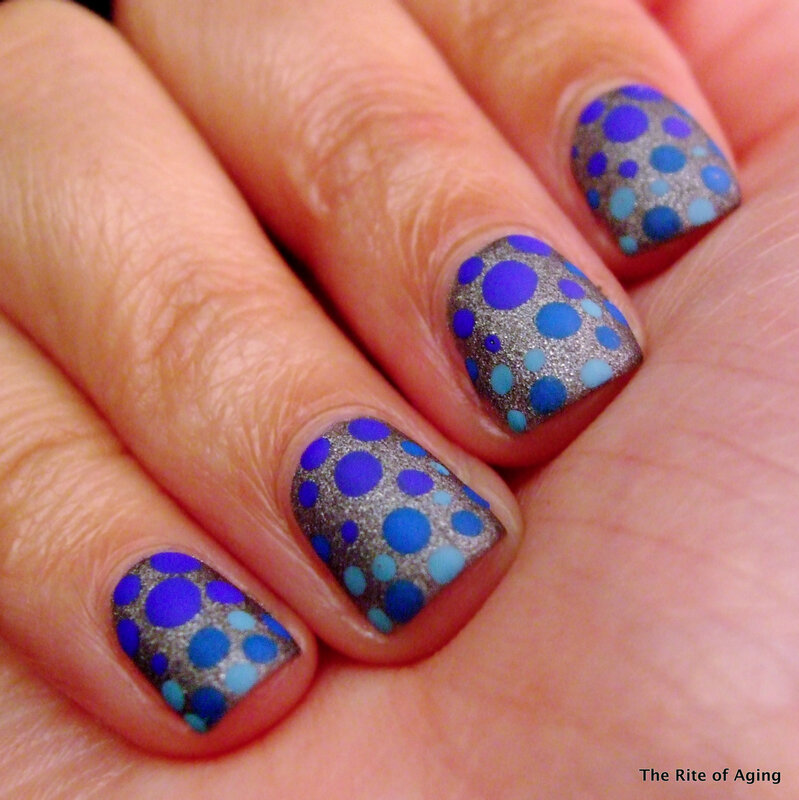 Love the matte version – such a fun twist on dots, different sizes and shades! Thank you!! The last two/three weeks focused on different types of dotticures in the SIMPLES challenge.